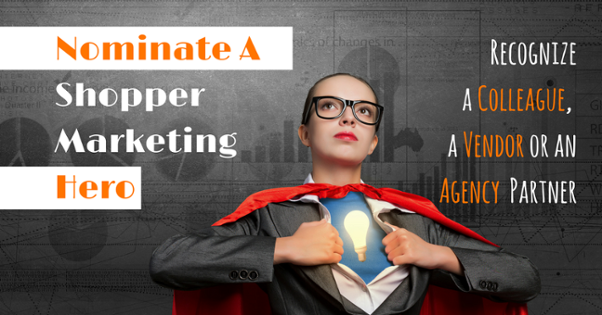 Since we announced the call for Shopper Marketing Hero nominations back in February, we received many entries. But this one was unique: not just one, but four people wanted to recognize René Robers, Customer Marketing Manager at Heineken USA. All of them were her colleagues. Here is her story. Under René’s direction HEINEKEN USA became the FIRST alcohol vendor to partner with our customer on their new “cash back” digital loyalty program. Created best-in-class post-promotional analysis process for customer programming"
"René understands the customers needs and limitations, and delivers tailored programming that is relevant, impactful, and innovative. In addition, she is a thought leader and vital contributor to the our team." "René has been able to step into a role at Heineken USA to help her buyer and sales counterparts with exceptional shopper marketing expertise! Rene has been leading and selling in shopper marketing initiatives to help solve around Kroger's new Beverage Aisle solution strategy. 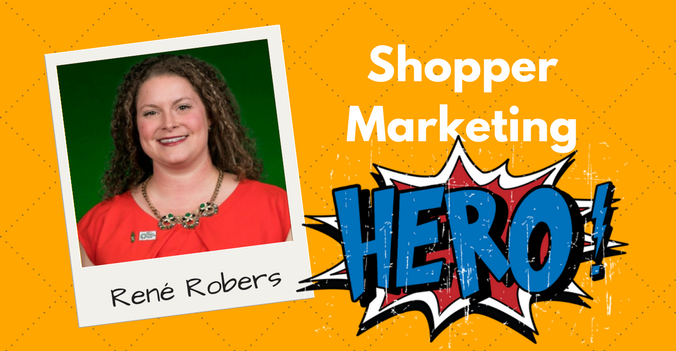 I would like to formally recognize René and her work around shopper marketing for Kroger." When I reached out to René for an interview, she was humbled and excited. I couldn't wait to ask her about her shopper marketing journey. RR: I started my career in shopper marketing through an agency supporting General Mills in early 2012. 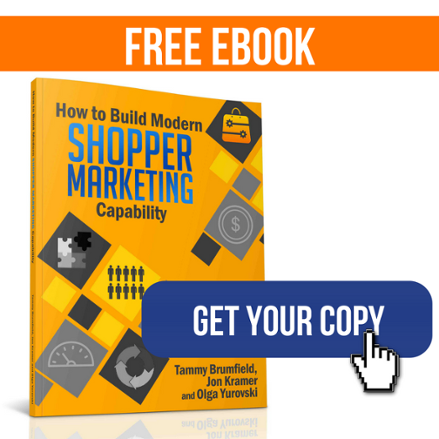 RR: To be successful in shopper marketing you must always be willing to learn new things, enjoy collaborative working relationships, and be able to take fact-based insights and apply them to real-time strategy. RR: Tenacity - I am determined to deliver on my team's needs (which often require fast timelines and complicated asks with state alcohol laws) and unique solutions that inspire shoppers to change their purchasing behavior. Persistence and responsiveness are key to ensure asks and ideas are supported from concept to execution, and my team often makes remarks about this strength! RR: I am fascinated by the sheer possibility of promotions. I love starting with a problem or sales opportunity and building a program that draws a shopper in, like Coachella with Heineken or boxing with Tecate, and in turn grows the business. It's a lot of fun to layer in sweepstakes, prizing and POS that bring it to life! RR: I am a huge proponent of agency experience - starting as an Assistant Account Executive allows you to learn the planning and creative process and client service. ("The Art of Client Service" by Robert Solomon is a great book to guide good behaviors as you begin your career.) Building relationships through this experience can lead to great opportunities to move into a client-side shopper marketing role. OY: What are the most important current trends that will change the way shopper marketers do their jobs? RR: I think it's obvious that eCommerce will change how we encourage trial of new items and drive shopper engagement with our brands, as they can start to avoid in-store messaging and displays, where a great deal of our effective marketing tactics live. While digital is becoming a larger part of our budget, there is still a lot of work to do to prove ROI - which is where eCommerce will help advise us. RR: I believe Coca-Cola truly grasps insights to create programs that motivate shoppers. From introducing new flavors to nailing targeted messaging, they meet them where they are. I am also impressed with brands who have leaned into influencers to gain success by increasing awareness via platforms like Instagram, such as ThirdLove.